Vancouver Coastal Health is rethinking how health care is delivered in the DTES. Over the last two years, we asked agencies and residents for their ideas about health services. We now have a papet that describes a new vision for the future. 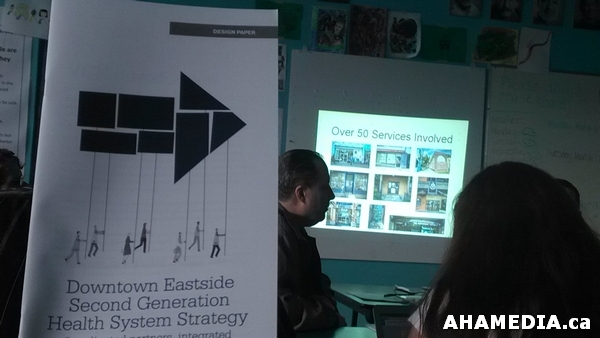 Before we start actually making changes, we want to talk with Downtown Eastside residents again to ask them what they think about our plans. A. Make health care feel safer, with staff who better understand where people are coming from and what they need. 2. Require all the agencies VCH funds to be safe for women, young people, LGBT and Aboriginal people. 3. Create new dedicated women’s health services. 4. Help agencies that are meant for adults but have youth using their services too to better support those youth. B. Help people get the care they need, when and where they need it. 1. Make the clinics open longer and open Insite earlier in the day. 2. Have VCH outreach teams going to any hotel where people need it, not just VCH-funded hotels. 3. Make drops-ins an easy place for people to connect to the medical care they need. 4. Set up mobile clinics for women in places around the neighbourhood where women spend time. 5. Start looking at home to improve the way we treat people for chronic pain. 6. Get agencies working togethet to improve the way we care for people who are dying. C. Make the housing that we fund better at supporting tenants with their unique health needs. 1. Give people the choice to have their Tennant Support Worker work more closely with their health care team. 2. Make health-funded housing tailored to peope who need special supports. For example, people with brain injury will be supported by the same housing program. 1. Create a new place for people who are homeless to stay when they leave the hospital and help them connect them to more support while they are healing. 2. Improve the way we support youth who are becoming adults (and are getting too old for youth services). 1. Create a plan for how we will work together to improve access to health food across the neighbourhood. 2. Set standards for the quality of the food served by the programs that VCH funds. Do research to see if providing healthy foods improves people’s health. 3. Help people to cook for themselves in community kitchens. F. Make it easier to find the right health care. 1. Put addiction services, mental health services, home health and health clinics into one building. 2. For people who are using more than one health service, one health staff member will be responsible for making sure all the other health care providers are working together. 3. Make a map of all the services for children and families in the DTES. Make a list that families can use to find what they need. 1. Work towards having supervised injection available at all VCH’s sites in the DTES. 2. 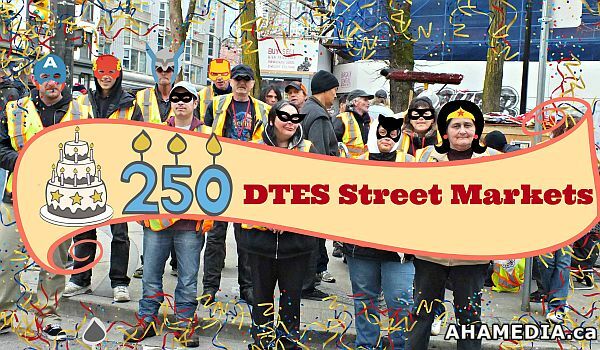 Make harm reduction part of all our services and the services we fund in the DTES. Improve the way that harm reduction services connect people with treatment. 3. Train all of our health care staff in naloxone and overdose prevention. 4. Support research into prescription treatments for stimulant addiction. 5. Look at expanding harm reduction support services for people with serious alcholism and peopke who drink non-beverage alcohol like mouthwash or hand sanitizer. 6. Install TVs that show drug alerts in key places around the neighobourhood. 7. Make it easier for anyone in opiate withdrawal to get single-dose methadone when they need it, along with other health services, at a low-barrier place like a drop-in. H. Involve our clients to improve our services. 1. Have peer supoort availaable in all DTES health services. 2.Creatre more and ongoing opportunities for clients to give their input and share their concerns about health services.